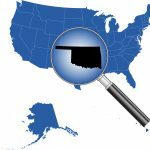 RegionTrack’s Oklahoma State & Local Area Outlook provides the most comprehensive and widely-used forecast information available for the state, its metropolitan areas, and counties. Outlook subscribers receive comprehensive historical data and forward-looking forecasts for more than 46,000 major economic data series along with regular written commentary and analysis of current and expected future economic conditions. Our online-tools make it easy to access and evaluate the data using custom tables, charts, and graphs. About our Forecasting Project: RegionTrack economists developed the first comprehensive local area forecasting models in Oklahoma more than a decade ago. What initially began as a research effort to improve the quality of information available in the smaller regions of the state has since developed with the support of state and local economic development professionals into a comprehensive statewide forecasting project. The increased availability of local area data in recent years has further broadened the potential for local area forecasting. Today, critical economic and demographic forecasting information is now in the hands of local private and public sector leaders that previously was available only to those in larger geographic regions. Our in-house econometric forecasting model is the largest of its type in the state and has been under continuous development since 2000. We invite you to join our group of forecasting clients, which include state and local governments, financial institutions, retailers, economic development organizations, industry and trade groups, and others. Forecast Coverage: Employment (both wage & salary and self-employed) by industry, earnings (for wage & salary and self-employment) by industry, GDP by industry, labor force and unemployment, retail sales, population, banking, housing prices, personal income and its components, and energy industry activity. Analytical measures include wage and employment shares by both region and industry, location quotients, and our index of overall economic activity. See our Data Dictionary (.xls) for a full listing. Historical Dataset: Quarterly historical data are available from 1990 to present (or first available date) for all series. Forecast Horizon: The Outlook focuses on the near- and intermediate-term outlook for each region, roughly 1-12 quarters forward. Quarterly forecasts are available for the current calendar year plus the next two outlying years. Currently, quarterly forecasts are available through the end of 2016. Online Data Access and Analytic Tools: We make it easy to access all historical and forecast commentary and data. Numerous custom data tables are available to quickly create summary tables containing history and forecast data for any region of the state. Our online graphing app lets you quickly create and download a custom chart of any data series in the database. How much history and forecast data will I have access to? Full quarterly historical data is generally available from 1990 to the present for all variables covered in the forecasting model. A few of the data series have an initial availability date that falls after 1990. How long is the forecast horizon for the projections? Our forecasting models are designed for short to intermediate term forecast horizons of 1-12 quarters. Each release provides at least two full calendar years (8-12 quarters) of forecast data. We can provide model runs for longer forecast horizons if needed, but we do not evaluate the out year forecasts. We operate other types of forecasting models that are much better suited for longer forecast horizons. What regions are covered? Regions include the State of Oklahoma; the Oklahoma City, Tulsa, and Lawton metro areas; all 77 counties; and several specially defined county groupings (energy-producing counties, agriculture counties, non-metro counties, etc…). See our Detailed Data Dictionary (.xls) for a full description of available regions. Can I distribute the forecast data to others? The data and information from the forecast service is proprietary and intended for personal use and cannot be redistributed in raw data form. However, you are more than welcome to release and distribute the data in any “summary form” including graphs, charts, tables, or detailed info-graphics. We provide a number of tools to help you analyze the data and prepare tables and chart for release. Our licensing agreement is available online for review. How many data series are available for each region? Approximately 45,000 individual series are maintained in the full dataset. There are approximately 650 data series in the new state model and 200-250 data series for each of the metropolitan areas, counties, and specially defined regions. See our Detailed Data Dictionary (.xls) for a full listing of available series by region. Why do the county forecasts not add up exactly to the state forecast? They do not add exactly, but generally are quite close. To constrain (or not constrain) the sum of the smaller regions to add to higher level totals is an age-old modeling debate. The concern is that forcing the smaller regions to add to higher totals will cause a loss of valuable forecast information generated by the models of the smaller regions. We typically model both top-down and bottom-up and then compare the two estimates. Only when they differ significantly is this a concern. What is the industry coverage? Forecasts are generally available at the 2-digit NAICS industry level for GDP, income, and employment for all regions. Larger regions have full 2-digit NAICS industry detail, however some of the smallest counties have slightly less detail due to the small size of some industries at the local level. Is information on retail sales activity available? The forecast for each region provides broad coverage of retail activity. Data coverage includes total and per capita taxable retail sales. Analytical measures include estimates of trade coverage area, retail leakage, retail buying power index, potential sales, and overall pull factor. Inflation adjusted estimates are also provided for total and per capita retail sales. Are the self-employed covered in the data and forecasts? Yes, the forecast for each region includes coverage of self-employed workers. The state model contains wage and salary employment and self-employment by NAICS industry sector and will be added to the metro models in 2013. The metro and county models provide estimates of total self employment as well as farm and non-farm self employment. Proprietor income is covered at the industry level in the state model. The metro and county models include total proprietor income for both the farm and non-farm sectors. How is income defined in the model? The state model provides forecasts of wage & salary distributions, compensation, and total earnings by NAICS industry sector. The county models provide estimates of wage & salary distributions at roughly the NAICS 2-digit industry level. Personal income (both nominal and real) and its major components are included in the state outlook. The state, metro, and county models provide estimates of total personal income (both nominal and real) and per capita personal income. Is military activity covered? Yes, the forecast for each region includes estimates of Gross Domestic Product, employment, and income for the military sector. Is farm and other agricultural activity covered? Yes, the agricultural sector is modeled in all regions as a distinct sector (FARM). Data coverage includes Gross Domestic Product, wage and salary employment, self employment, wage and salary income, and self-employment income. How are quarterly estimates for variables such as Gross Domestic Product and self-employment produced? Aren’t they only available at an annual periodicity? RegionTrack goes to great lengths to produce reliable quarterly estimates of these annual data series and believe you will find this one of the most useful aspects of our forecasting service. This has long been an area of research emphasis for us, and we use a variety of approaches (including large-scale non-linear optimization techniques, scaling algorithms, and Bayesian estimation techniques) to derive estimates. In fact, we spend nearly as much time raising the periodicity of data, estimating missing data, and cleaning errors from public data sets as we do producing forecast estimates. The process generally involves leveraging information in other data sets as prior information in order to produce the most reliable estimates for higher frequency data. For example, we use U.S. quarterly GDP data to create quarterly estimates for all 50 states using a joint model. Oklahoma’s state-level quarterly GDP estimates are then used to create quarterly estimates for all 77 Oklahoma counties using a joint model.